Life must be a little dry nowadays for Death Cab for Cutie. After being the band that launched a thousand wimps, thanks to character Seth Cohen’s geeky adulation on “The O.C.,” and lead singer Ben Gibbard’s wedding to indie siren Zooey Deschanel, the emotive Pacific Northwest rockers have laid low and clearly been bereft of drama. That changed last night (as did our idea of creative masochism), when the band unveiled their insanely ambitious music video. The clip for new single “You Are A Tourist,” off May 31's album, "Codes and Keys," was a curious endeavor: a live-action video, scripted and performed in one take. The broadcast ran last night at 7 p.m. Director Tim Nackashi helmed the video. An interesting communal concept, to be sure: much like the recent Radiohead "King of Limbs" download, all fans experienced the multimedia event together at the same time. Death Cab’s site now runs the feed from last night’s live bonanza. 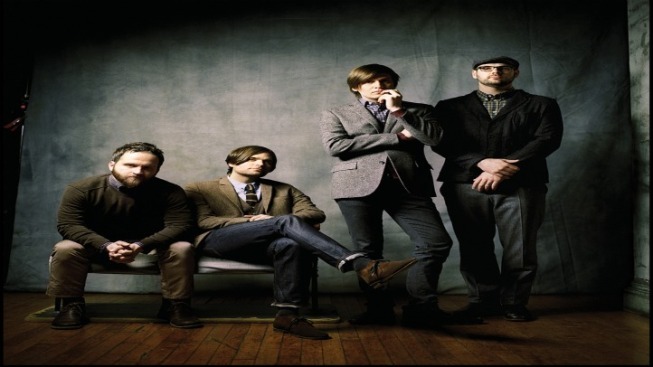 So you be the judge: did Ben Gibbard and Co. pull thespian magic in one take? Can't see the stream on your mobile device? Click here.